Kissing Crane Black Medium Hunter Knife | BUDK.com - Knives & Swords At The Lowest Prices! Great knife, very practical, high quality, looks good too. Sheath is very usable. Great knife right out of the box! Razor sharp, good quality knife& you cant beat it for the price, I've got my eye on another one! I think that this is a great little knife. I carry it to work. Very handy size. Love it. 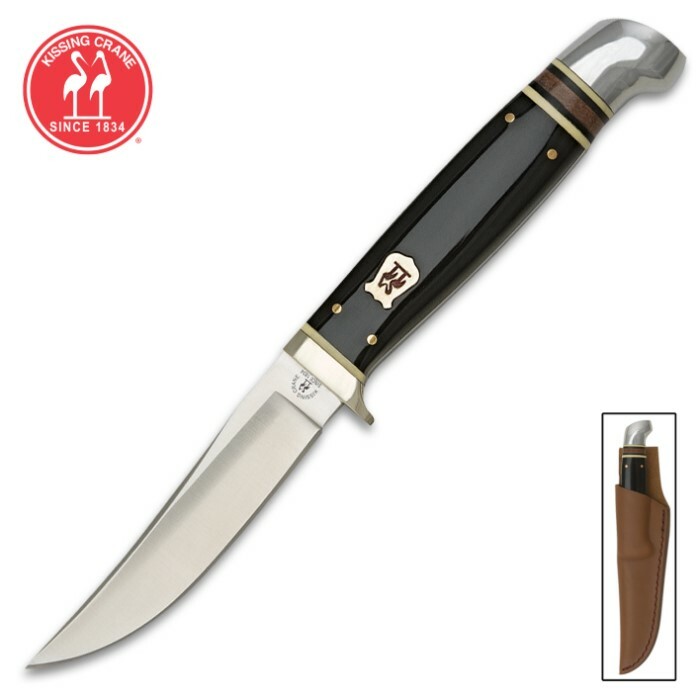 I ordered this knife looking for a high quality utility knife. I got what I was looking for. Great design and blade shape. Sturdy structure and great looking. I have already processed 6 large lake trout and it is a great fillet knife too. It was a little bit smaller than what I was looking for however, with a 3 1/2 in. blade it does not do well for chopping. But all in all, this is a great outdoor utility knife and I will be useing this knife for many years to come.